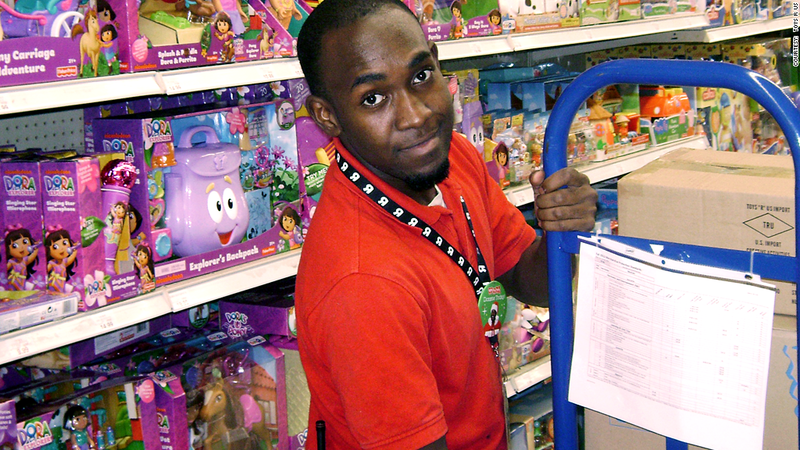 David Terrell has been working holidays at Toys R Us since 2007. This will be David Terrell's sixth holiday season working at the Toys R Us store in Valdosta, Georgia. Every year, like most retail stores, Toys R Us hires tens of thousands of temporary workers to staff its stores in the months leading up to the hectic holidays. These seasonal employees corral crowds, handle frantic parents tackling their must-have toy lists and stock emptying shelves from October through early January. This year, Toys R Us is hiring 45,000 temporary holiday workers, as it did the year before. Wal-Mart (WMT) is hiring 55,000, while Target (TGT) is getting 70,000 seasonal employees. Most of these workers are let go at the end of the season. But there are some that come back for the busy months, year after year. Terrell, 24, is one of those perennial holiday workers. When he first started at Toys R Us in October 2007, Terrell had just completed basic military training, and was gearing up to be deployed with the reserves a few months later. In his first month at the toy store, he dressed up as Steve Urkel, the popular nerdy television character, and won the store's Halloween competition for best costume. "I was immediately surprised with how fun it could be - that's why I kept coming back," said Terrell, who wouldn't tell CNNMoney how much he made from the job. The season gets a lot busier after Halloween. Terrell starts work at 6 am unloading trucks, stocking shelves and making sure the store is organized. Once the store is open, he said it's "game time." "There are lines throughout the store and it gets very busy," he said. "But it's great to help people out and give them what they want. Plus, I get to play with the toys." But it's not all fun and games, especially on the store's busiest days close to the post-Thanksgiving shopping blitz, known as Black Friday. On his first Black Friday working there, Terrell was in charge of making balloons for people who stood in line before the store opened. For two hours, he watched the lines get longer, wrapping from the store's entrance all the way around the store and back to the entrance again. But his busiest Black Friday was in 2010, when the store held a super sale on one really hot toy. He doesn't remember what the toy was. 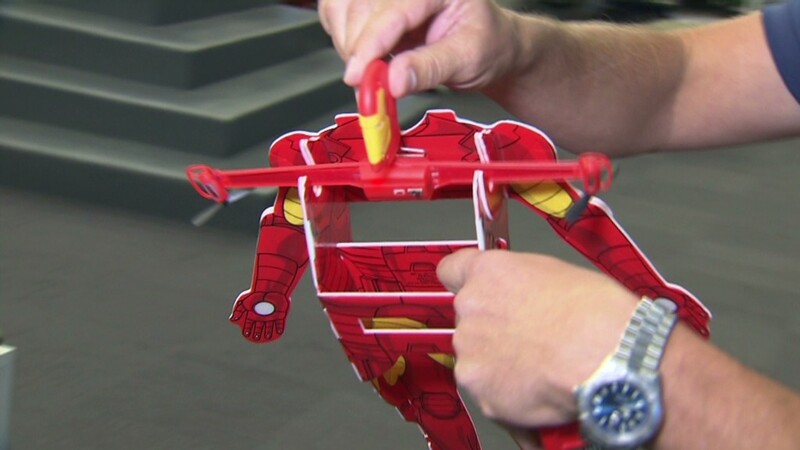 What he does remember is that the entire aisle around the toy was so full that people couldn't move. He was sandwiched in between frenzied parents arguing over who had first dibs on the toy, and it was his job to create order out of the chaos. "It was an experience," he said. For five years, his holiday working experience ended once the Christmas decorations were taken down in January. The rest of the year, Terrell went back to school where he's studying for a degree in information technology. He also did his drills for the military reserve, or was deployed in Afghanistan. He got a military paycheck, but found it hard to make ends meet. Related: Working during the holidays? Share your story. This year, it will be different. Toys R Us has hired him to stay on as a part-time worker beyond the holiday season. He'll work 22 hours a week at the store, all year round. The rest of the time, he will be in school. "Now that I can stick to the job throughout the year, it'll be much better," he said. "It makes me really confident."